Morgan Flanigan of Yarmouth, Maine, is a freshman piano performance major at the Cleveland Institute of Music in Ohio, studying under the tutelage of Kathryn Brown. Prior to her arrival at the Cleveland Institute of Music last fall, Morgan studied with Chiharu Naruse for 8 years. She has won the 2018 Ocy Downs Piano Prize, 2017 Young Stars of Maine Elsie Bixler Junior Prize, 2016 Maine High School Concerto Competition, 2015 Young Stars of Maine A. H. Chatfield, Jr. Piano Prize, and the 2015 USM Youth Ensembles Scholarship Competition. During the 2016-2017 school year, Morgan participated in the piano seminar at the New England Conservatory Preparatory School. She participated in the 2017 Atlantic Music Festival, and during the summer of 2015, Morgan studied under Yong Hi Moon at the Bowdoin International Music Festival and attended the MasterWorks Festival in Indiana. In 2015, Morgan won 2nd prize in her age category at the International Music Competition in Stockholm, Sweden. Morgan has performed in New York at Merkin Concert Hall as part of the Long Island Conservatory Soloist Competition Winners’ Concert, and she was awarded Kotzschmar Scholarships in 2017, 2015, and 2014. 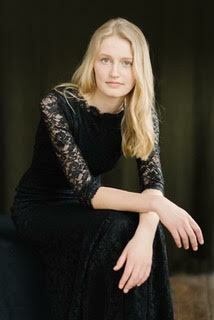 Besides piano, Morgan also studied violin with Yasmin Vitalius for six years. Morgan enjoyed participating in the Maine All-State Orchestra in 2016 and was Assistant Concertmaster of the 2015 Maine All-State Orchestra. She also enjoyed participating in the DaPonte String Quartet Workshop in 2015 and 2014. For several years, she was member of the Portland Youth Symphony Orchestra and also sang in the Wescustago Youth Chorale.